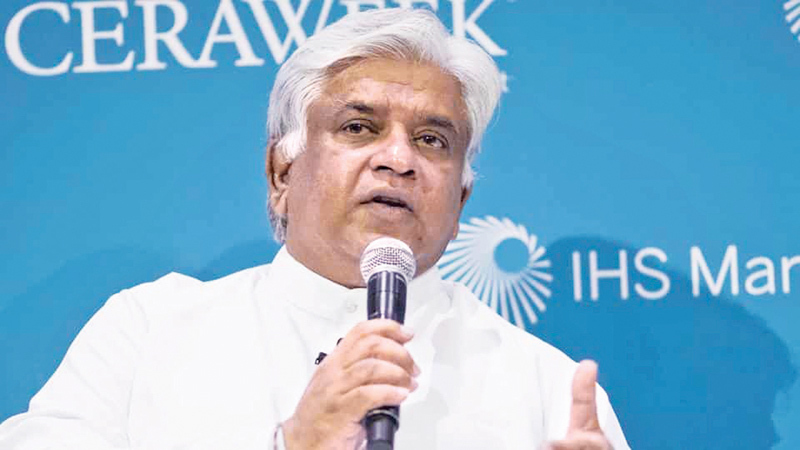 The time has come to expel those who ruined cricket in Sri Lanka from the President’s platform, Transport and Civil Aviation Minister Arjuna Ranatunga said. This year may be the year when cricket in Sri Lanka will be taken in the right direction, he added. Minister Arjuna Ranatunga was responding to a question from the media regarding a recent statement made by President Maithripala Sirisena about cricket in Sri Lanka, following a meeting in Gampaha. Minister Ranatunga said cricket is like a religion in Sri Lanka. Cricket in the country began its decline since 2015. Players only were not to be blamed for this. Incompetent people who entered the cricket administration should be held responsible for it. He said since 2015 he had been warning about this. Two SLFP ministers who held the Sports portfolio since 2015 enabled incompetent people to enter the cricket administration. It was these corrupt individuals who had made cricket a gambling game. The Minister said he was happy that the President had realised the destruction caused to Sri Lanka Cricket. The President too might become unpopular when corrupt people were kept close to him. Minister Ranatunga said he knew President Sirisena as a person who took correct divisions. He was certain that the President would take a correct decision at last, belatedly. The Minister said today, the Sports Minister was Harin Fernando of the UNP. He too was a person who took correct decisions. Perhaps they could be able to steer Sri Lanka Cricket in the right direction after the next Cricket Board elections. Mr Ranathunga, totally agreed. Please note that your brother Nishantha is one of them. We can't forget what he did when he was the secretary to SLC. You should talk about what he did and how corrupt he was. He had the backing of Rajapakse's to do what he wanted. The whole country knows who Nishantha is. He is your brother but as a genuine cricket lover, you should not back him.